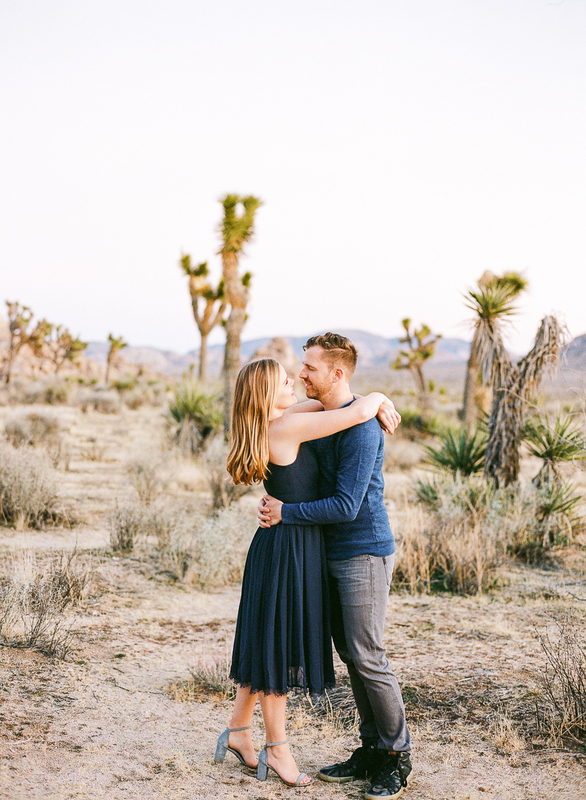 It was a good 20 degree difference at Joshua Tree than when we left Palm Springs for the first part of Bonner & Justin’s engagement sesison. 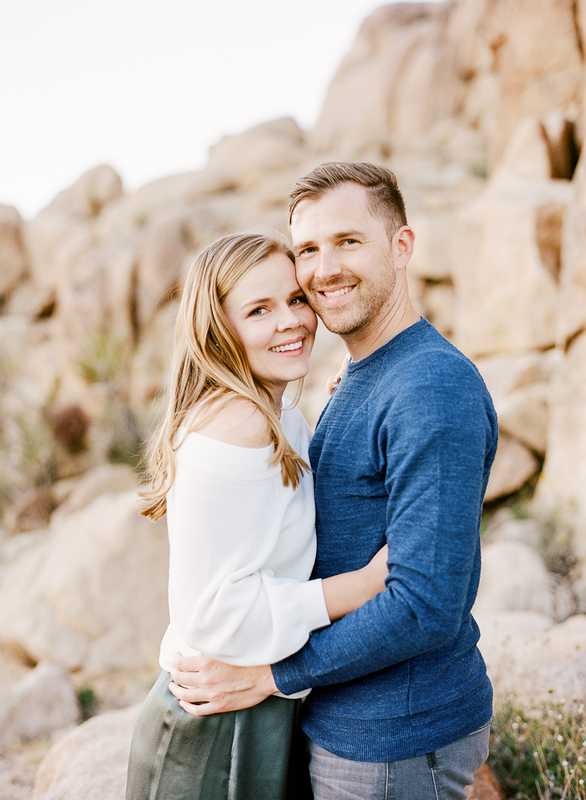 The chilly weather was a good excuse for Bonner to be all snuggled up to Justin and I loved her cozy jacket, a look that you don't often see for engagement sessions. 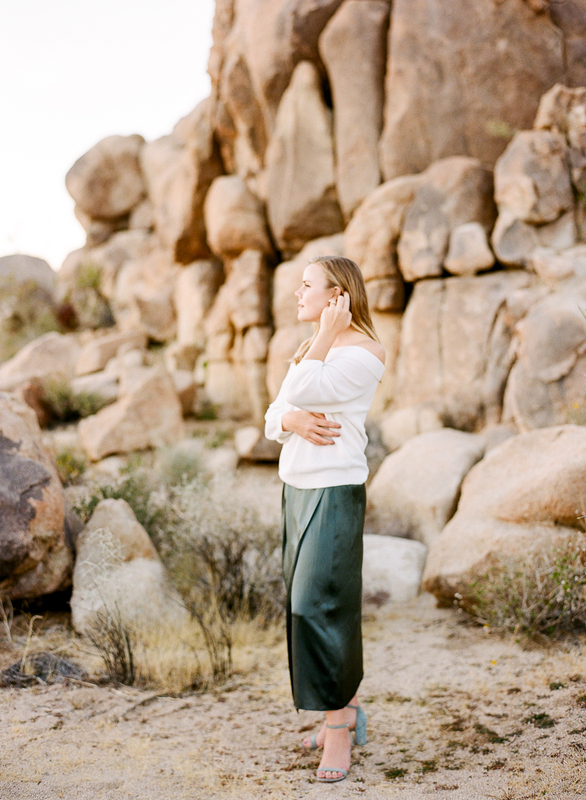 Style should make sense to the location and feeling that you want to go for, so we took the time to curate their looks to each location we shot at. Bonner has such a great sense of style and with this location I was inspired to give this editorial vibe to their photos. To catch that golden hour glow, we literally had to chase the light as the sun would dip below the mountains. 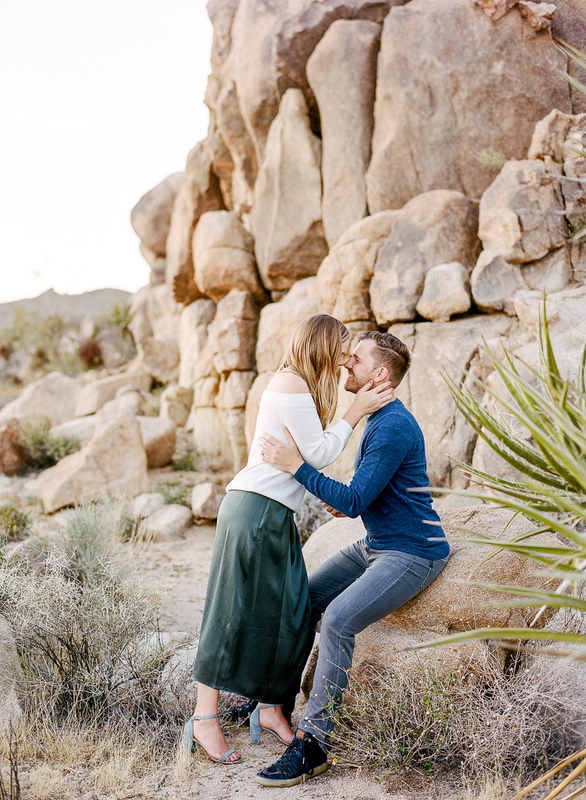 Justin had spent time at Joshua Tree many times, so he knew these great spots to take us to. 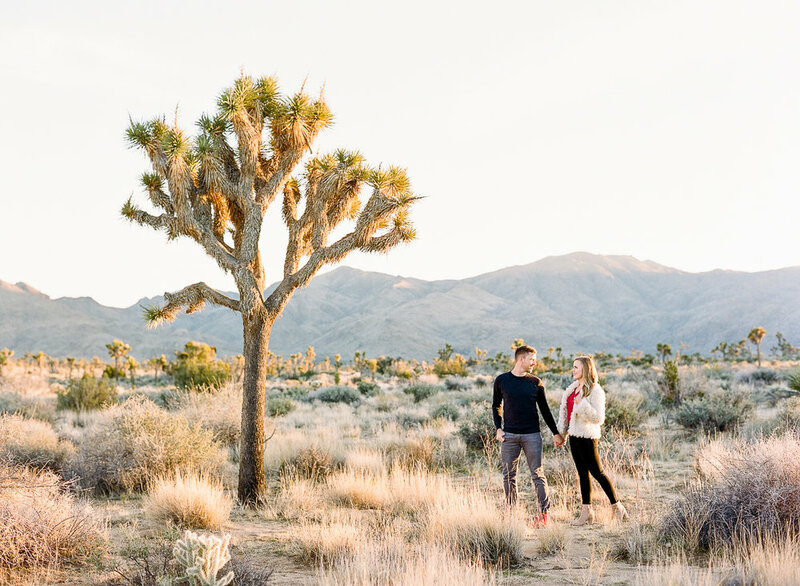 Both Justin and Bonner have traveled to amazing destinations, but to think this beautiful desert scenery is just 3 hours drive from their home in Los Angeles is unreal. 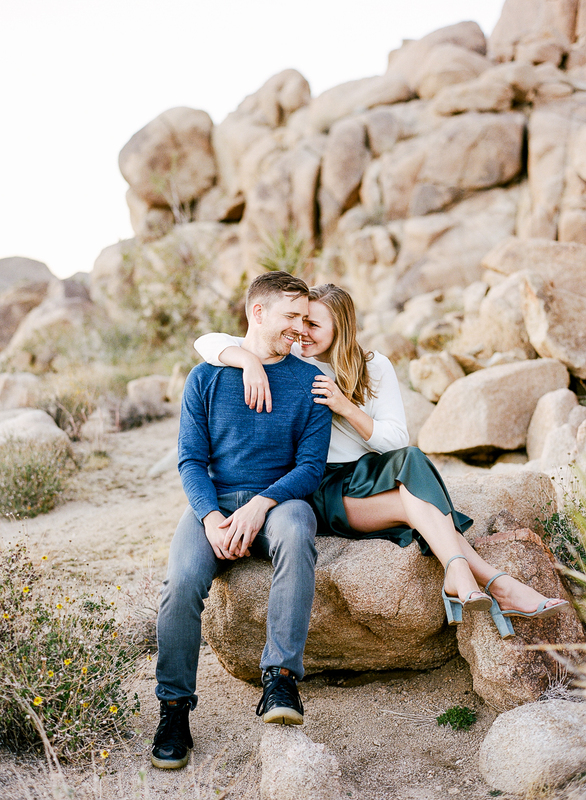 See Part One of their engagement session in Palm Springs here.